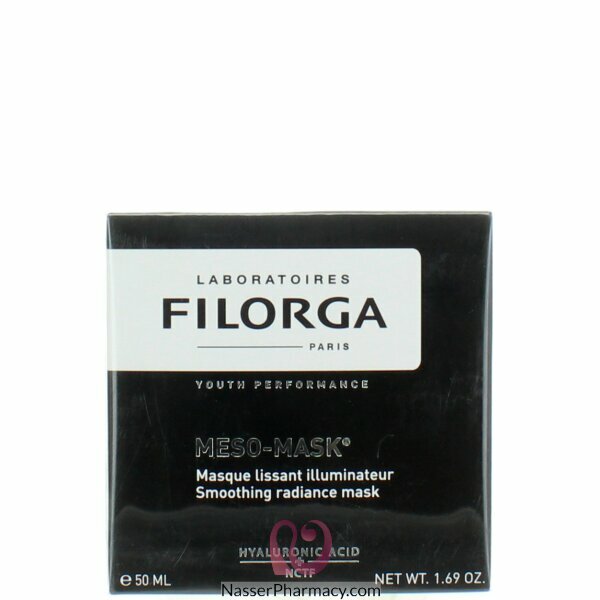 Filorga Meso-Mask brightens the skin for a luminous and radiant complexion. treats wrinkles and erases all signs of tiredness. A lightweight cream texture for a unique relaxing feeling. The skin is re-plumped, offering a healthy-glow and freshness complexion. The whole mesotherapy in a mask! The Meso-Mask program is directly inspired by mesotherapy treatments practiced in the doctors office. Once a week during one month, then every two weeks. 8 treatments for a 3 month program. Additional and progressive effect of cellular poly-revitalization on the skin quality. Apply a thick layer of the mask on the whole face, over the eye contour, neck and decollete. Leave on between 15 to 30 minutes. Remove and rinse thoroughly with fresh water. Then complete with Meso-C . CLAIM TO FAME: An intensive treatment that helps tighten and tone the look of sagging skinFAST .. Description:A unique rich formulation with 3 main active ingredients (argireline, matrixyl and thala..
Its high concentration of vitamin C neutralizes free radicals, stimulates collagen synthesis and pro..
"Facial treatment in vials with an advanced combination of antioxidants and moisturizers to.. Description:Regeneration Age Resisting Night Cream contains a special blend of ingredients that help..
oduct OverviewDescriptionSince 1947Active Coenzyme form of B12Suitable for VegansKosher ParveDietary..